The Australian Protection Symposium is a forum for discussion and sharing of knowledge and first hand experiences from Australia and around the world, whether its fundamentals, new approaches, technology developments and standards, strategies and implementation experiences or even failure case studies, there will be a discussion that will benefit you and your organization in the area of protection, automation and control. 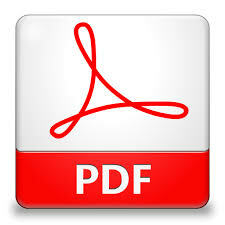 The purpose of this paper is to provide as clear a statement as possible of the functionality which Power System Protection has to fulfil in order to be considered ‘fit for purpose’, and the requirements that this places on the concepts, design, components, and circuitry of protection systems. The statement of functionality is made in such a way as to form the basis of concepts and designs irrespective of the particular technology or combination of technologies used for its delivery. 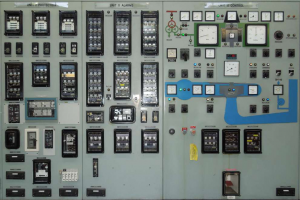 The Electrical Protection of power systems is an essential and critical function. The level of dependability and security required is the highest of any of the secondary circuit functions used in substations. The requirements are stated in a way which is independent of the technology used, so as to avoid restricting the development of new technology or applications. 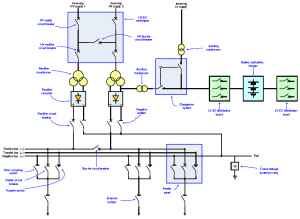 This approach is in the spirit of IEC 61850 in providing base rules and a framework for developing solutions without restricting the development of new solutions and improved functionality. The content includes key objectives of protection, basic principles applying to any scheme, all of the components involved (not just the relays), primary and back-up principles (Remote BU and Local BU) and their implications. It deals with the requirements of secondary isolations of individual schemes required to permit safe work on a scheme while the remainder of the substation is in service, and with the requirements for simulated functional proving of protection schemes, again in a live substation. Segregation principles are also covered. (b) The requirements which the protection system places on whatever technology or mix of technologies used in the delivery of these functions. Protection is a specialized discipline and requires people qualified or appropriately trained and competent in the discipline to carry out the various protection functions such as protection planning, system analysis, design and specification of relay systems, circuit design, relay settings, testing, installation, and commissioning. b) power swing blocking (PSB). The functionality of LE is to block the relay under normal loading conditions as long as the load impedance is within the LE characteristic. Its characteristic consists of a circle cut by straight lines which represents the load angle. The radius of the circle represents the magnitude of minimum load impedance. Bearing in mind that LE responds only to balancing positive current, it is shown that LE characteristic does not need to grade with any forward zones as long as the maximum load angle is less than the line angle with sufficient margin. The main objective of PSB is to block the operation of phase distance elements for stable swing. Its characteristic consists of two blinders or circles, one inner and one outer. The inner blinder/circle should encompass the outermost zone of phase distance protection that has been selected for blocking. The outer blinder/circle should be set so that the closest minimum load impedance locus to be outside the outer blinder/circle characteristic for all loading conditions. In this paper, it is shown that the loadability limit of distance relays of numerical relays should be calculated based on outer blinder/circle characteristics of PSB rather than the conventional method of the last forward zone, otherwise the functionality of PSB will be ineffective and relay may trip on stable swings. With this concept mathematical equations for calculation of RLL are developed for two cases, one with blinder and one with circular characteristics for PSB. In addition to impedance relays, methodology for calculation of RLL for current differential and overcurrent protection of new numerical relays are given. Finally, the results of analysis of system disturbances which have occurred under normal system loading conditions due to wrong relay settings, design errors, relay failures and human errors during testing are discussed. It will be shown how these disturbances could have been prevented if correct design philosophy and test procedures had been implemented. · Magnitude of electrical load – stationary and moving including the type of train, the current required for powering, the current required for auxiliaries, the number of trains operating, the timetable, and the speed of operation. · Traction system capacity including fault levels, protection types, and rate of rise of current. This paper describes the DC protection system on traction substation and limitations and implications of the traction system. 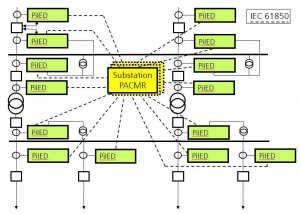 peer-to-peer communications using Generic Substation Event (GSE) messages and sampled values from non-conventional or conventional sensors allows the development of distributed applications. In addition, the use of optical local area networks leads in the direction of copper-less substations. The paper focuses on the definitions of the digital substation communication busses such as the station bus for the communication at the station level and between bays as well as the process bus for the communication between the high voltage process and components interacting with it. 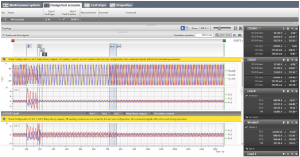 It analyses the substation communications architectures in substations with full implementation of IEC 61850, i.e. with station and process bus. The different types of devices required for the digital substation are described. Merging units that provide the interface between the current and voltage sensors and the intelligent electronic devices at the equipment, bay or substation level are described, as well as . The distribution of signal and data processing functions between the different devices for both architectures are analyzed. Some specific substation applications based on GOOSE and Sampled Analogue Values are described later in the paper and demonstrate the advantages of the new technology. Improvements in functionality, combined with practical elimination of performance or safety issues are covered in the paper. 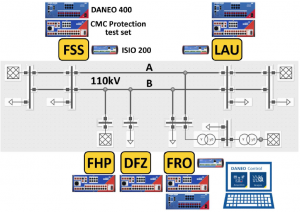 GOOSE itself brings many benefits which can be utilised for various protection signals, however, isolation and testing are critical considerations which are often seen as deficiencies in edition 1 (ed1) of the IEC61850 standard. A key driver for edition 2 (ed2) was to overcome these limitations. This paper looks at various isolation and test methods used for edition 1 and compares them to using edition 2. A major drawback of edition 1 was the inability to use online simulation. This limitation was not obvious and care is needed to ensure simulated or test messages are not used on a live system. This paper looks at the new simulation modes available in edition 2 which greatly improves this situation. The edition 2 simulation mode is quite powerful and this paper also looks at how this functionality can be used in a practical application. One of the stated objectives of edition 2 is to create solutions that can incorporate edition 1 relays. This paper also looks at the practicality of doing this. Reliability, Efficiency and Safety are the key objectives of any modern power system and these can be achieved by the implementation of fully automated systems. The IEC61850 standard has revolutionized the automation process by standardizing system specifications, configuration language, naming convention, communication protocol, and conformance testing. Use of IEC61850 compliant devices can simplify the engineering design process, increase flexibility and reduce engineering costs. In order to operate and maintain IEC61850 based systems, plant engineers must acquire knowledge about communication protocols, computer network, classes, and objects etc. In New South Wales (NSW), the protection systems of the large turbo-generators (660MW units and above) and associated generator transformers have reached the end of their operating life. Most NSW generating companies have already implemented a program of replacing these generator and generator transformer protection systems. The new protection systems used IEC61850 compliant protection relays with an optical, peer to peer communication messaging system known as “GOOSE”. 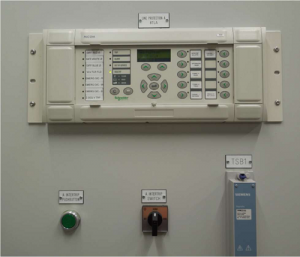 Being a protection retrofitting project to existing generating units, there were a number of difficult choices and design consideration in selecting the levels of IEC61850 implementation to these new protection systems. This paper looks at the extent of IEC61850 implementation in these retrofitted generator and generator transformer protection systems in NSW. It also provides a discussion on the impacts of the IEC61850 system on the operation and maintenance of these protection systems and possible future improvements. This paper discusses methods of analysing waveform recordings from numerical relays to diagnose power system events and confirm relay operations. COMTRADE format recordings often only capture the physical analogue and digital signals wired to the relay, while internal protection functions will use algorithms to manipulate these signals before determining a trip condition. With a basic understanding of the relay algorithms the operating quantity can be derived from the recording and compared to an operating characteristic to verify settings and confirm relay operations. 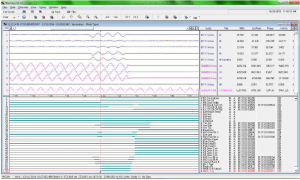 Examples presented include analysis of harmonic content of inrush waveforms, trip locus of differential and impedance based characteristics, high impedance based protection trips and fault finding installation and application issues. The Channel Island Power Station is the major generation source for the Darwin-Katherine region. Power delivery to the greater Darwin region is via two 132kV overhead lines to Hudson Creek Substation which are installed on separate towers sharing a common corridor. Figure 1 below is a simplified network diagram used in the model to study the impacts of the influencing factors including: source impedance ratio, load-flow, mutual coupling, fault impedance, single pole tripping, autoreclosing and current reversal. The first part of this paper describes the selection of the proposed replacement system. The second part describes the evaluation of the combined effects of the influencing factors and the last part describes verification using available power system disturbance records and the test scenarios generated by RelaySimTest. Protection systems deal with two different types of faults, ones we expect and faults that are unique and had not been considered. This paper describes black swan events, and how we as protection people should make our system black swan tolerant. It looks at several events, not all within the power industry, and describes how different thinking may have prevented incidents from occurring. It describes the effect of outliers on fault analysis and black swan recognition. The author has been involved in black swan style theory for many years. As a book by Nassim Nicholas Taleb has created the terms used nowadays, those terms are used throughout this paper. Modern communication networks have dramatically increased the implementation of the line differential scheme as one or both primary protection for transmission lines. The transmission network is usually meshed which also provides fault current contribution from both ends of the line. Considering the ongoing need to reduce CAPEX investment, it is expected that the supply to specific loads, for instance mining in rural zones of Australia, the transmission network could be expanded radially with single or double circuit applications. In a radial system, in the event of fault, fault current contribution is drawn mainly from the source side. 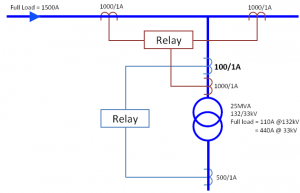 This scenario could potentially create issues to the operation of supervisory elements of the line differential relay at the remote end. This paper reviews this specific application with particular attention to solutions which balance the need for security, speed and dependability of the line differential protection scheme. maximum voltage developed during maximum through fault, scheme provides adequate security. This requirement is usually easy to satisfy and very few utilities ever had an issue with scheme security caused by CT saturation. On the other hand, tripping for internal faults relies on CTs’ ability to provide enough secondary current through very high impedance of the relay branch during an internal fault. Under an internal fault condition, at least one CT with primary current drives secondary current into high resistance of the relay branch. This creates high voltage across CT terminals. This voltage usually exceeds knee point voltage of the CT and eventually saturates (from secondary terminal side) other CT’s connected into a high impedance scheme. Low impedance of saturated CT’s reduce burden on source CT’s; but also allows spill current to flow into saturated CT’s not into the relay. As a consequence, in steady state, current through the relay flows only during short periods when voltage across summation point is below knee point voltage of CT with the lowest knee point voltage – i.e. periods before the smallest CT saturates. Early schemes had been implemented using high (usually nonlinear) impedance voltage relays. These relays were extremely fast because very sensitive operating coil in these relays (usually 5mA – 10mA) would operate almost instantaneously when voltage increases over knee point of internal nonlinear resistors used to set the voltage pickup. Over time, the voltage relays had been replaced with electromechanical (EM) instantaneous overcurrent relays (usually armature type) and burden resistors. More recently, EM relays have been replaced with solid state and numerical overcurrent relays. General understanding is that HiZ scheme performance is expected to remain satisfactory as long as few original design “rules of thumb” are met. At the same time requirements for smaller CT have been intensified due to switchgear size reduction. This paper presents methods and findings of modelling and simulation of a HiZ differential scheme. Relay performance under internal fault conditions were studied. Conclusions and some recommendations for scheme improvements based on this findings are presented. Smart grids of the future will have new challenging requirements for the protection elements regarding selectivity and dependability. The load flow will be increasing, the magnitude and direction of load flow may be changing frequently and even the network topology will be more complex than today. This paper presents a new design of distance protection which perfectly fits to the requirements of the smart grid of the future. The impedance measurement is based on the calculation of the load compensated fault reactance X and from line resistance separated fault resistance. This method is applied for phase to ground as well as phase to phase faults. Separation of the fault resistance improves the accuracy of the impedance calculation. The method reduces the negative influence of fault resistance during high load flow and minimizes the risk of wrong pickup during high load condition. Once a fault is detected it is very important to select the faulted loop to calculate the impedance to the fault. For complicated faults in the complex network of a smart grid this can be a challenging task with a certain risk of non-selective fault clearance. In the past the loop selection was done by a so called decision tree, in which several criteria were applied sequentially to find the faulted loop. Thereby, only the result from one criterion selects the faulted loop. The new approach is different. 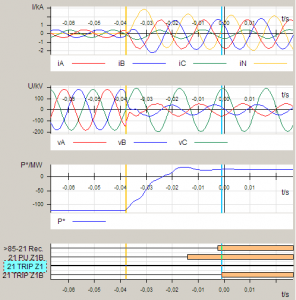 Several criteria based on magnitudes of voltages and currents, changes in voltages and currents, symmetrical components or impedances are applied in parallel. The results of each single criterion are weighted and combined to get a final result for the selection of the faulted loop. With this principle the efficiency of the loop selection has been optimized to different network topologies by changing the weights of each criterion. The same principle is applied to the directional element. Multiple criteria based on actual voltages, memorized voltages, symmetrical components or delta quantities are applied in parallel. The final result is obtained as a weighted combination of the result of each single criterion. Electrical power systems and the related protection and control systems evolve over time. Systems get extended, and the existing parts have to be adapted to the new configuration. While extending the primary system is more straightforward in most cases, the adaption of the protection system can be more challenging if the topology of the primary system is essentially changed. The adaption of protection settings is not sufficient to cope with such situations. New protections concepts or improved information exchange between protection relays may be required. This paper describes an electrical power system with five terminals that evolved over time and how recent technologies were applied for upgrading the protection system and how the testing of the system was performed. This paper describes the design, installation and commissioning of a new numerical protection and control and intertripping scheme at an EHV substation. The substation supplies a critical and large industrial plant (paper mill). 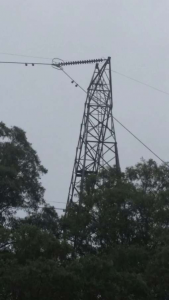 The connection consists of two radial 110 kV transmission lines connecting four 25 MVA, 110/6.6 kV transformers, two of which are dual wound. Each transmission line is directly connected to a transformer. The 6.6 kV sides of the transformers are connected to different busbars via circuit breakers. For a fault on the 110 kV lines, or the transformers, the remote end 110 kV circuit breaker and appropriate 6.6 kV circuit breakers must open. This arrangement required complex intertripping schemes between protection devices of the transformers within the substation and between the protection of the local substation and remote substations. The secondary work at the local, and remote EHV substation included installing new 110 kV transmission line protection schemes, consisting of Main ‘A’ and Main ‘B’ new numerical relays for each line. This included removal of existing inter-tripping schemes. The project necessitated an innovative design, settings and logic programming to be implemented on new relays. Existing secondary infrastructure including copper cables and intra substation fibres of the single old protection scheme, were utilised for the now duplicated transmission line protection. This involved the following. Removal of the existing multi-intertripping schemes and reconfiguration using new numerical protection scheme with appropriate setting and logic programming. Utilising fibre optic cable and digital transceivers/receivers for provision of trip/close circuits. Implementing a reliable design and settings based on sound standard policy/philosophy. Installing, testing and commissioning the new protection and intertripping schemes with minimum plant outages due to load critically. The power system automation community is going through a period of transition from the world of hard wired systems and proprietary configuration and analysis tools into the world of distributed IEC 61850 communications based systems and object oriented standards based engineering and analysis tools. This requires the development of a new set of skills in order to help the specialists from our industry understand and use the new technology. 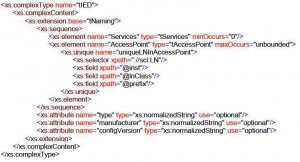 The main goal of this paper is to introduce the Extensible Markup Language (XML) and the Unified Modeling Language (UML) to the protection and control community and focus on the UML diagrams and XML files used in the IEC 61850 standard and in some IEEE standards related to protection and control in order to help the readers understand the diagrams and files included in or defined by the different standards. Examples of the use of UML diagrams in IEC 61850 are given later in the paper. Exchange (COMFEDE) standard are presented at the end of the paper. Over national holiday breaks, weekends, especially during the spring and autumn, low loads and high proportional wind generation could combine and result in fault levels on the network dropping to unexpected values. In the event of a system fault this could adversely affect the operation of protection schemes. If protection schemes do not detect faults the effects of system events will become more widespread leading to unnecessary damage to assets and power supply disruption. Looking at the operation of single phase tripping schemes, this paper will discuss how the schemes work to clear a fault and the importance of ensuring tripping at all ends of the protected feeder with particular emphasis on Wind Farm fault supplying capability and protection scheme sensitivity looking at various differential, distance and distance signal-aided line protection schemes. For transformer protection we look at how basic relay settings are modified by zero sequence filtering and ratio compensation leading to differing sensitivity. Line protection systems were replaced between Transgrid’s Upper Tumut Switching Station and Snowy Hydro’s Tumut 1 and Tumut 2 Power Stations. A risk of a downed conductor before synchronising the line at the switching station was identified, and a protection system designed to detect this failure. Traditional systems would not detect this unique event until a significant quantity of fault current was reached with a possible bush fire. The predicted event occurred less than a year after the protection was installed, and was correctly cleared with no extra plant or environmental damage. This paper examines the thought processes required to see the need, the need and implementation of the protection, and the resulting fault and protection operation. Australia’s electricity supply history, utilities have grappled with some unique issues. Australian utilities are known for innovation, and the utility demands placed on manufacturers have been responsible for some of the greatest steps in switchgear development. As one of the largest interconnected networks in the world, distribution network service providers (DNSPs) in Australia face big issues presented by the unique geography and climate. One of the greatest causes for concern in the Australian Distribution community is the aspect of bushfire risk. Australia has a long history of bushfire disasters, but in lieu of the devastating events of February 2009 the impact of utilities has been burned into the Australian psyche. The resilience of Australia’s utilities and engineers prompts appropriate development to mitigate these risks, and this paper outlines some of the features available using one of the most common protective distribution switchgear devices: the automatic circuit recloser (ACR). ACRs humble beginnings as hydraulic devices in the mid-1900s has evolved greatly through the years through to semiconductor controlled switches. These switches have proliferated across networks all over the globe, driven by the immediate reliability benefits and protection offered on a reasonable budget. Australia itself has had a fair share of manufacturers, and today there are thousands of NOJA Power reclosers in service providing reliability to customers. Driven by continuous requirements from utilities, these semiconductor controlled reclosers have been greatly developed, and this paper presents some solutions implemented to combat the challenges of the Australian distribution network. Bushfire mitigation is at the forefront of development, and through use of the NOJA Power RC10 control system it is now possible to update and integrate bushfire mitigation strategies using commissioned NOJA Power assets, with a simple firmware update and a network integration strategy. By using the on board voltage and current sensing capabilities of these reclosers, the RC10 now has the capability to conduct complete power quality monitoring and reporting – a technology long bound to the granite yards of substations. This functionality is now available out on the feeders, using the exact same protection devices installed years ago, providing power quality feedback from the shores of the gold coast to Uluru. 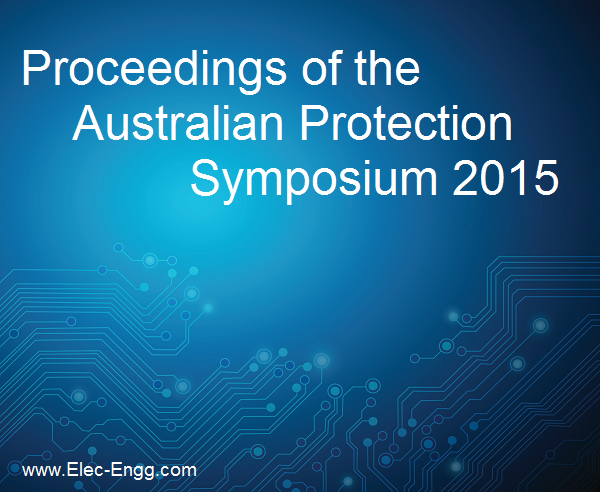 Enhancing Australian Protection System Testing through Real Time Digital Simulations The modern power system is large and highly complex in nature. At the same time, there are a number of new and potentially disruptive technologies that can redefine the way the power system is designed, operated and managed, changing long-existing network dynamics. Examples of these disruptive technologies include intermittent power generation (such as wind and large-scale solar PV farms), centralized energy storage, and distributed generation (DG). Meanwhile, computational power and sensing capacity is continuously increasing within the network. New generation network devices (including flexible alternating current transmission systems (FACTS) such as synchronous static compensators (STATCOMs), HVDC interconnections, multi-terminal dc networks and dc grids) extend the available solutions but further complicate the optimal selection of technologies. This increased complexity also translates into requirements for more sophisticated and highly selective protection systems for faster fault detection and isolation, in order to minimize disruption and increase network availability. Improper settings or co-ordination among protection devices can lead to major network disruptions, as demonstrated in the 2003 North American Eastern Interconnection Blackout. Inadequate understanding of the power system and inadequate situational awareness are considered among the major causes of such failures. Recently, the aspect of grid resiliency has also attracted attention, in addition to the existing focus on reliability, efficiency and costeffectiveness. One of the main methods of demonstrating and verifying the performance of current and future power systems, thoroughly testing the design and operation of protection schemes, and experimenting on novel methods and approaches is through the use of real-time digital simulations. The concept of realtime digital simulations was initially introduced in 1969 by Dommel  and is based on the calculation of the system’s currents and voltages using the conductance matrix of an equivalent electrical network at a time smaller than the defined time-step . The time-step should be selected so that the real-time behavior of the network is accurately emulated and provides trustworthy results. Through real-time simulation, the behaviour of the power system can be observed in real-time. At the same time, external hardware (e.g. digital controllers or protection relays) can be directly connected to the simulator enabling studies on the response of hardware and on the response of the power system following any operation of the external device. The major drawback of this approach is that it requires large computational power and processing capabilities, which increase exponentially with the complexity of the simulated system. The typical time-step for real-time digital simulations is in the range of a few μs (up to 50μs). Real-time digital simulation can be a very powerful tool for network planners, protection engineers and everyone involved in the design and operation of a power system. The objective of this article is to present the real-time digital simulator (RTDS) available at UNSW Australia, demonstrate its capabilities and illustrate applications relevant to protection testing as well as the broad range of simulations that can be performed.